Want to be a Karate Olympian? “The million-dollar question is: how do you actually get there?”. Karate is making its debut on the Olympics in Tokyo 2020 and the qualifying process has just begun. Many athletes are still not so clear on how the qualification system approved by the World Karate Federation and the Olympic Committee works, however the bottom line is very simple: there are 4 male divisions and 4 female divisions, and 10 competitors will participate in each one. That means that only 80 Karatekas will actually participate in Tokyo. Now the million-dollar question is: how do you actually get there? Very simple: you need to win many events and aim to be top 10 in your division for a long long time. That means that you need to stay way up there in the ranking for almost two years. I truly believe that, in order for athletes to win systematically, they need a strong strategy and a holistic view. To dominate any given sport for that period of time is a huge challenge and is easier said than done. But it CAN be done. It requires about 6-8 hours training sessions, a strict sports nutrition, a lot of sacrifice, paramount discipline, a bit of luck, and, again, a lot of sacrifice. Want examples of these type of athletes? I’m talking about Lionel Messi, Cristiano Ronaldo, Rafael Nadal, Roger Federer, LeBron James, Tom Brady or in Karate Rafael Aghayev in Kumite and Antonio Diaz in Kata. If any athlete is dreaming of going to the Olympics he/she has to put in some serious training and also some serious planning. I truly believe that, in order for athletes to win systematically, they need a strong strategy and a holistic view of what is at stake. If they fail to see the big picture, chances are they are not going to make it. Here I’m going to share a first approach on how to tackle the big picture. Technique: this is the main platter. All around the world there are different methods of training for both Kata and Kumite. Which is the best one? Is it the Japanese, the Turkish, the Iranian? The best one is the one that gives the best results, and since there are many strong countries in both disciplines, it is hard to pick just one. But, for the athlete, what’s important is to understand the duration and purpose of each cycle. What’s the objective of that week’s training? The technique training divides itself in three parts: technical, tactical and situational. Each part should be trained with the volume of minutes according to each phase of the cycle. Conditioning: elite-level Karate competition requires a strong athleticism, especially with the new rules. Speed, power, balance, stamina, just to name a few, are being judged both in kata and kumite. Hence the athlete must train very intelligently and adjust the conditioning training for karate. Let me be more specific. Elite-level competitors do not need to run 10 miles, swim 2.000 metres, or squat 400 pounds. What they do need is to be as explosive as possible in a very short period of time and then recover even faster. I believe that HIIT (high intensity interval training) training is the type of training that will bring the best benefits. This is the type of conditioning that many MMA fighters use. The technique training divides itself in three parts: technical, tactical and situational. Judges: in karate this has always been a very debatable and sensitive subject. 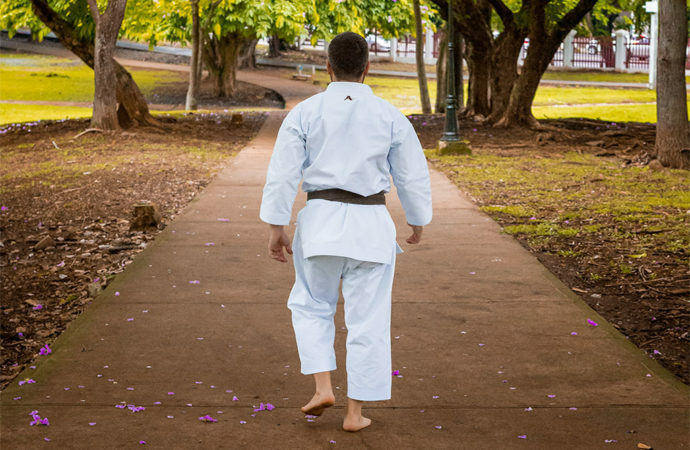 But if we are to speak freely, then we must say it: a karate judge favors many times the athlete that is well known, the local athlete, the Japanese competitor, or even the athlete that they personally know. I am not making this up, I’ve seen this in many top-level competitions and have been both victim and witness of this type of decisions. Of course, this is not always the case, but it happens. So, given that it does happen, the athlete and the country’s federation must act accordingly. A competitor must be an example on the tatami, respect its opponent and the referees. Nobody likes a spoiled and disrespectful competitor. And off the tatami it should not be any different. I personally applaud all the top-level competitors that give seminars and share their knowledge. That branding is the type of lobby that they need. And from the country’s federation point of view, they must have judges in all the top-level events. It´s a must. The judges speak amongst themselves like in any other sport. Federation: if an athlete does not have the support of his/her country’s federation, then the chances of going anywhere are very slim. As I said earlier, the qualifying process is complex: yes, you need to have as many points as possible, but there are events such as the World Championships or the Pan-American/European Championship that could give you a direct ticket to Tokyo. How do compete in those events? Well, that varies from country to country. But in any case, I believe that lonely rangers will not make it anywhere, as much as that hurts. If you are not a top 50 athlete then you need to win a couple of Series A tournaments, which are very difficult due to the numbers of competitors. Just in Chile last week there were more than 120 competitors in male kata. Sponsors: a competitor needs to travel a lot to compete and sum ranking points, but also to train with top level coaches. Usually a federation does not support the competitors for K1 Premier League Events and Series A, which sum 11 events in total. That means that a competitor wishing to assist to all the events, by himself, must raise at least $30.000. This amount for an amateur sport is a lot of money. That’s why an athlete needs sponsors. These may come in many ways or forms, such as family members, friends or colleagues, or any type of company, but what the athlete must keep in mind is that nobody is willing to give money without a tradeoff. There is no free lunch. What can the athlete offer? What can be of interest to that person wishing to support you? … elite-level Karate competition requires a strong athleticism, especially with the new rules. Branding: this basically has an impact in every part of the big picture, especially for the judges, federation and sponsors. An athlete needs to transform itself into a brand and use social media to communicate their training, achievements and hard work. A professor of mine use to say: “If you don´t communicate it, it does not exist”. Remember this is a two year project, that´s why its approach must be as professional as possible. Benjamin Franklin said: “If you fail to plan, you plan to fail”. It does not get any more clear than that my dear karateka friends. Vuoi essere un karateka olimpionico? Il Karate debutterà alle Olimpiadi di Tokyo 2020 e le qualificazioni sono già iniziate. 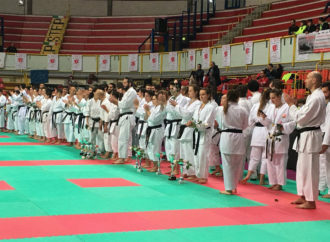 Molti atleti ancora non hanno molto chiaro come funziona il sistema di qualificazione approvato dalla Federazione Mondiale di Karate e dal Comitato Olimpico, tuttavia la morale della favola è molto semplice: ci saranno 4 divisioni maschili e 4 femminili e in ciascuna gareggeranno 10 concorrenti. Ciò significa che a Tokyo parteciperanno solo 80 karateka. Ora, la domanda da un milione di dollari è: come ci si arriva? Molto semplice: bisogna vincere molte gare e puntare a essere nella top 10 della propria divisione per molto tempo. Ciò significa che bisogna rimanere alti in classifica per quasi due anni. Credo davvero che un atleta, per vincere sistematicamente, abbia bisogno di una forte strategia e di una visione olistica. Primeggiare in qualsiasi sport per un tale lasso di tempo è un’enorme sfida, più facile a dirsi che a farsi, ma si PUÒ fare. Sono necessarie sessioni di allenamento di 6-8 ore, una dieta sportiva ferrea, incredibile disciplina, un po’ di fortuna e, ancora, molto sacrificio. Alcuni esempi di questo tipo di atleti? Sto parlando di Lionel Messi, Cristiano Ronaldo, Rafael Nadal, Roger Federer, LeBron James, Tom Brady o nel karate Rafael Aghayev nel Kumite e Antonio Diaz nel Kata. Se un atleta sta sognando di andare alle Olimpiadi lui/lei deve investirci dell’allenamento serio e un’altrettanta seria pianificazione. Credo davvero che un atleta, per vincere sistematicamente, abbia bisogno di una forte strategia e di una visione olistica di cosa c’è in ballo. Se non ha una visione d’insieme, è probabile che non ce la farà. Di seguito condivido un primo approccio su come affrontare questa visione d’insieme. Tecnica: questo è l’aspetto più importante. Nel mondo vi sono diversi metodi di allenamento, sia per il Kata sia per il Kumite. Qual è il migliore? È il giapponese, il turco, o l’iraniano? Il migliore è quello che dà i migliori risultati e, dato che ci sono molti Paesi forti in entrambe le discipline, è difficile sceglierne uno. Ma per l’atleta quello che è importante è capire la durata e lo scopo di ogni ciclo. Qual è l’obiettivo dell’allenamento di questa settimana? L’allenamento della tecnica si divide in tre parti: tecnico, tattico e situazionale. Ogni parte dovrebbe essere allenata con una quantità di minuti a seconda di ogni fase del ciclo. Preparazione: la competizione di karate a livello d’élite richiede forte atletismo, specialmente con le nuove regole. Velocità, potenza, equilibrio, resistenza, solo per citarne alcune, vengono giudicate sia nel Kata che nel Kumite. L’atleta deve quindi allenarsi in maniera intelligente e adattare l’allenamento di preparazione al karate. Sarò più specifico. Un concorrente di alto livello non ha bisogno di correre 10 miglia, nuotare 2.000 metri o sollevare 400 libbre. Ciò di cui ha bisogno è di essere il più esplosivo possibile in un breve lasso di tempo e poi recuperare ancor più velocemente. Credo che l’allenamento HIIT (High Intensity Interval Training) sia il tipo di training che apporterà i migliori benefici. É il tipo di preparazione utilizzato anche da molti fighters dell’MMA. L’allenamento della tecnica si divide in tre parti: tecnico, tattico e situazionale. Giudici: nel karate è sempre stato un tema molto sensibile e discusso. Ma se possiamo parlarne “liberamente”, dobbiamo dirlo: un giudice di karate favorisce molte volte l’atleta conosciuto, l’atleta locale, il concorrete giapponese, o addirittura l’atleta che conosce personalmente. Non me lo sto inventando, l’ho visto in molte gare di alto livello e sono stato sia vittima sia testimone di questo tipo di decisioni. Ovviamente, non è sempre così, ma succede. Quindi, siccome succede, l’atleta e la federazione devono agire di conseguenza. Un concorrente deve essere un esempio sul tatami, rispettare l’avversario e gli arbitri. A nessuno piace un concorrete viziato o irrispettoso. E fuori dal tatami non dovrebbe essere diversamente. Mi sento di elogiare concorrenti di alto livello che danno seminari e condividono il proprio sapere. Quel branding è il tipo di lobby di cui hanno bisogno e, dal punto di vista della federazione del Paese, devono avere giudici in tutti gli eventi sportivi di alto livello. É indispensabile. I giudici si parlano a vicenda come in qualsiasi altro sport. Federazione: se un atleta non è supportato dalla federazione del proprio Paese, le probabilità di andare avanti sono molto misere. Come ho detto prima, il processo di qualificazione è complesso. 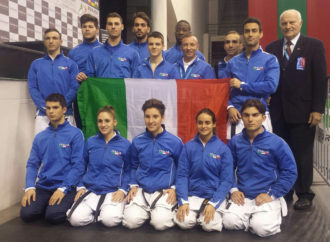 Sì, bisogna avere il maggior numero di punti possibile, ma ci sono eventi come i Campionati Mondiali o il Pan-American/European Championship che potrebbero dare un biglietto diretto per Tokyo. Come si arriva a competere in questi eventi? Varia da Paese a Paese, ma, ad ogni modo, credo che i “cavalieri solitari” non andranno da nessuna parte, per quanto faccia male sentirselo dire. Se non si è tra i 50 migliori atleti, bisogna vincere un paio di tornei di serie A, che sono molto difficili a causa dell’alto numero di partecipanti. Solo in Cile la scorsa settimana c’erano più di 120 concorrenti per il Kata maschile. Sponsor: un concorrente ha bisogno di viaggiare molto per competere e collezionare punti, ma anche per allenarsi con allenatori di alto livello. Solitamente una federazione non supporta i concorrenti per gli eventi sportivi della K1 Premier League o della serie A, in totale 11. Ciò significa che un concorrente che desideri partecipare a tutte le gare dovrà spendere come minimo $30.000. Questa somma per uno sport amatoriale è molto alta. Per questo un atleta ha bisogno di sponsors, siano essi membri della famiglia, amici o colleghi, oppure qualsiasi tipo di azienda. Ma ciò che l’atleta deve tenere a mente è che nessuno gli darà fondi senza un guadagno, senza avere un “ritorno”. Cosa può offrire un atleta? Cosa potrebbe interessare a una persona interessata a supportarlo/a? La competizione di karate a livello d’élite richiede forte atletismo, specialmente con le nuove regole. Branding: questo ha un impatto su ogni aspetto della visione d’insieme, in particolar modo per i giudici, la federazione e gli sponsor. Un atleta necessita di trasformarsi in un brand e usare i social media per comunicare il proprio allenamento, i traguardi e il duro lavoro. Un mio professore diceva: “Se non lo comunichi, non esiste”. Ricorda che questo è un progetto di due anni, perciò l’approccio deve essere il più professionale possibile. Benjamin Franklin disse: “Se fallisci a pianificare, pianifichi di fallire”… Più chiaro di così, miei cari amici karateka. 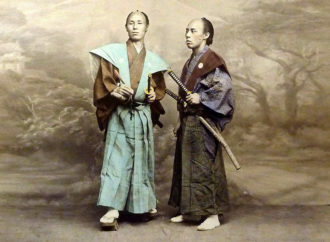 I principi del Bushidō e la cultura dei Samurai appartengono solo a un’epoca passata? 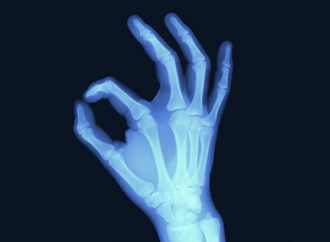 Contro l’osteoporosi la migliore arma è… l’attacco!